Torbay Police FC is affiliated to the Devon County Football Association. The Torbay Police Football Club was founded in October 2010 by three members of the Devon & Cornwall Police. Their main reason for doing so was to raise money for local charities and projects, whilst being involved in a sport they are passionate about. They also wanted to incorporate more sport and social events into local officers off duty time. The Charity/Exhibition matches are played predominantly by staff of the Force. All matches are played by off duty members of staff and all donate to the designated charities in order to play. The team is kindly sponsored by a well respected local business KJ Lack Funeral Services. We have been lucky enough to play the majority of our matches at the Devon County Football Association Ground, Coach Road, Newton Abbot. The Devon County FA have been very supportive of the team and as such this venture could not have got off the ground without their assistance. The team has also received a great deal of support from local clubs Torquay United FC and Buckland Athletic FC. Each match has been kindly sponsored by local businesses, and raffle prizes for events have been donated by members of the local community as well as businesses. We are very appreciative of this support. So far the club, with its supporters and the local community, have raised funds for the Rowcroft Hospice, Children's Hospice SW, local RNLI stations, Leukaemia Research, Clic Sargent, the Louisa Carey childrens ward, Victims Support and a number of local children who are suffering with serious illnesses. We have adopted the Rowcroft Hospice and the Children's Hospice SW as our main charities at present. The club has set up the TPFC CHARITY FUND from which it donates the monies raised to the local causes. Our League Squad competes in the South Devon Football League (Div 6). 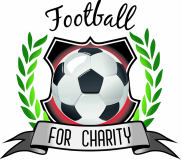 On Sunday 21st July 2013 at The Devon County Football Association Ground, Newton Abbot the third 'Gentleman Jim Charity Cup Final' will see Torbay Police FC take on Aston Villa Old Stars in aid of Charity. The event will be a 'family fun day' with lots of exciting side shows taking place throughout the day, including a special guest who is quite literally 'Out of this World'. Please keep checking this site for updates on ticket sales, events, and the chance to play 45 mins for the Aston Villa Old Stars. If anyone kindly wishes to make a donation, offer raffle/auction lots, sponsor, offer support to the event in anyway, advertise in the match day programme or on this website please do not hesitate to make contact with us. All support is very much appreciated. We can be contacted via the 'contact' heading above this page. However you can also phone Rob Youngman on 01803 841477 or Lee Langley on 07929 139347 to discuss. Cheers all!